That’s what most of us believe—that we live in a rational world, not one where specters of demons and the dead haunt the living. But if ghosts aren’t real, why are so many people so sure they’ve seen them? It turns out that the answer has a lot to do with the human mind. There’s a scientific explanation for almost every weird thing anyone’s ever seen. But when it comes to the paranormal, scientific explanations are sometimes more mind-blowing than the myths. 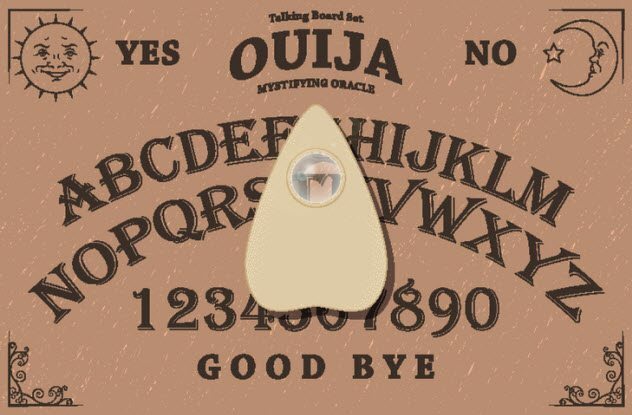 When you and your friends put your fingers on a Ouija board and see that little plastic arrow move, it’s really happening. You don’t need some prankster to push it around. That little plastic arrow really moves, and the people touching it really believe they aren’t doing it. They are, though. They just don’t realize it. It’s something called the “ideomotor effect,” and there’s an interesting experiment you can do at home to try it out for yourself. Put a weight on a string, dangle it, and try to hold your arm completely still. Then ask yourself questions and tell yourself that the weight will swing clockwise if the answer is “yes” and counterclockwise if it’s “no.” As if by magic, the weight should change direction to answer your questions—and you’ll really believe that you aren’t doing it. It works because our bodies make tiny, subconscious movements. When you ask yourself a question, your subconscious mind answers it and subtly moves your muscles without your realizing it. Little muscles will move in your fingers to answer your questions, and it’ll seem to you like the weight is moving on its own. The same thing happens when you use a Ouija board. Your subconscious subtly moves that little plastic arrow, and to you, it’ll seem like it’s moving on its own. In 1972, a team of psychologists got eight people together, told them the life story of a man named “Philip Aylesford,” and tried to get them to summon him through a seance. They dimmed the lights, sang songs, and asked him questions—and to their surprise, some strange things happened. The table started to move. At one point, it even rose up onto two legs. The lights seemed to flicker. They heard rapping noises that they believed to be Philip answering their questions—and he got every question right. It would have been definitive proof that they’d summoned a dead man’s ghost if it hadn’t been for one thing: Philip Aylesford wasn’t a real person. The psychologists had made Philip up. Every detail about his life was complete fiction, and yet the group was able to convince themselves that they’d summoned his ghost. A few psychological tricks were at play here, but a lot of what happened was the ideomotor effect. The group had moved the table through sheer force of subconscious will. This was a replicable experiment, too. The psychologists published their results, and other labs in other countries copied them. Once again, they were able to get full seances going with a room full of people convinced that they’d summoned a made-up ghost. Demonic possession seems easy enough to explain. For years, we’ve just misunderstood schizophrenia, epilepsy, and a wealth of other mental problems and convinced ourselves that people were getting possessed by demons. But if that’s the case, what’s going on with exorcisms? If all these possessed people were just schizophrenic, why were priests who were chanting in Latin able to cure them? It seems that the answer lies in the human mind. In the late 16th century, King Henri IV hired a commission of people to run an experiment on a woman who claimed to be possessed by demons. They told her that they were priests who were going to give her an exorcism. Then the priests faked it—and it worked. 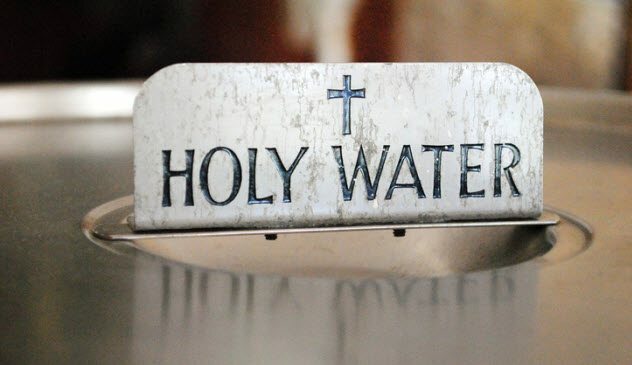 First, they gave her holy water from a church. They put it in a regular flask and gave it to her, pretending it was just regular water. The real holy water had no effect on her. But when they poured ordinary water on her and told her that it was holy water from the church, the woman convulsed in pain. 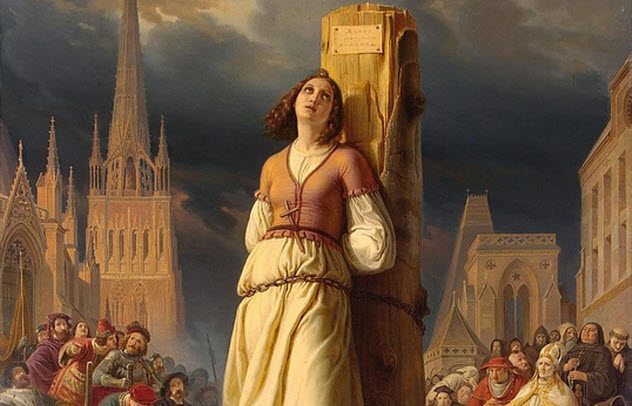 Then they put a piece of iron on her and told her that it was a relic of the true cross. She started rolling on the floor in agony. They also read a book in Latin and pretended that it was the Bible. Again, they got her to freak out, even though they were really just reading Virgil’s Aeneid. The woman wasn’t necessarily faking her reactions. It was just all in her mind. And almost anyone can be convinced that this kind of thing is affecting them. More recently, a group of psychologists sat down with skeptics and tried to convince them that demonic possession was real. By the end, 18 percent of their subjects not only believed in demons but were convinced that they had been possessed. A man named Michael Gauquelin once ran an ad offering a free, individual analysis of anyone’s personality based purely on their astrological sign. All you had to do was send in your date of birth, and he would return an insight into the person you really were. Incredibly, 94 percent of the people who signed up said that he described them perfectly. Which is strange because Gauquelin sent exactly the same analysis to every person. His insights into personalities weren’t actually based on their horoscopes. He just used a few vague, generic lines, and it was enough to impress almost everyone who wrote in. It’s called the “Forer effect,” which is the human mind’s willingness to believe that two unrelated events are related. It’s named for Bertram R. Forer, a man who conducted a similar experiment. He gave a group of college students identical personality analyses that said things like: “You have a great need for other people to like and admire you.” Even with an educated crowd, 85 percent of his subjects were convinced that he had described them to a T.
The reason why some people are convinced that they can remember being Joan of Arc or an ancient Egyptian laborer might be something incredibly simple: They just have really bad memories. A group of researchers at Maastricht University administered a test called the “false fame paradigm” to a group of people who were convinced that they could remember their past lives. The participants read a list of made-up names. Then, the next day, they read a new list with a mixture of famous people’s names and the names they had previously read. The people who believed that they could remember past lives insisted that those made-up names were the monikers of famous celebrities. In other words, the memories of these participants were easily confused. When they couldn’t remember where they’d seen a name that looked familiar, their brains would make up stories to explain who these fake people were. It’s believed that the same thing is happening when they make up stories about past lives. Here’s a weird experiment with even weirder results. A group of scientists blindfolded people and had them stand between two robots. The people’s fingers were attached to the robot in front of them. The machines were set up so that whenever the humans moved their hands, the robots behind their backs would mimic the movements on their backs. At first, it didn’t do much. People would tap with their fingers and would feel a robot finger tapping in the same way on their backs. But it didn’t really freak them out. Something really strange happened, though, when the researchers added a delay to the system. When they made the robot finger wait half a second before copying the human’s movements on that person’s back, the person started to feel like there was a strange presence standing behind him. Some even felt like they were surrounded by invisible people, and some were so freaked out that they asked to quit the experiment. The researchers believe that it happened because they broke the sense of agency. When they added the delay, the people didn’t feel like they were responsible for the movements anymore. In our weird brains, that inability to take agency in our movements makes us feel like there’s an alien presence nearby. The researchers think that this is what happens to schizophrenic people and to people who are under extreme stress or exhaustion. They lose the ability to track the links between their minds and their movements, and it makes them feel like somebody is in the room. A lot of people have had an out-of-body experience—that strange feeling that you’re floating above yourself, looking down. It’s especially common during a near-death experience. But is it really happening, or is it all just in our imaginations? To find out, a group of researchers wrote a message on a card and placed it on top of a machine in a hospital room. Then, whenever a patient left the room, they asked that person if he’d had an out-of-body experience and, if so, what the card said. Three people reported that they’d had out-of-body experiences, but not a single one had seen the card. The weird part is that people aren’t faking these things. Another group took in a woman who claimed that she could take “astral trips” out of her body at will. They hooked her up to a machine to study her brain activity and asked her to leave her body to see how it affected her brain. Her visual cortex was almost completely deactivated, and the parts of the brain associated with mental imagery flared up—which means that she wasn’t exactly lying. She really did start seeing herself from outside her body. But, based on her brain waves, her real power wasn’t the ability to take astral trips. It was the ability to make herself hallucinate at will. Not everyone who claims to have seen a ghost is lying. Some people really think that they’ve seen dead people standing in front of them or have seen God come down and speak to them—and they’re not always schizophrenic. It’s something that’s a bit hard to explain, but psychologists looking into the people who had these experiences discovered something very illuminating. 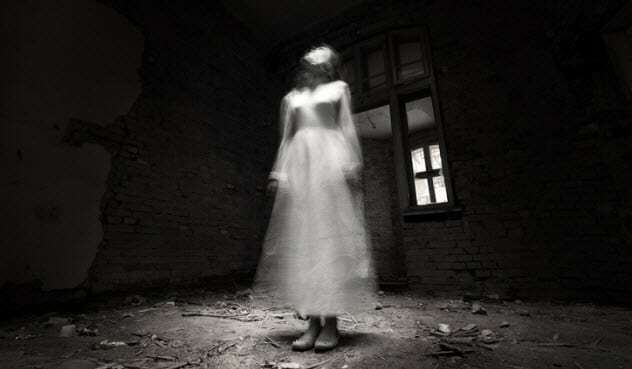 In most groups of people, finding someone who has seen a ghost is rare—unless you talk to elderly widows. 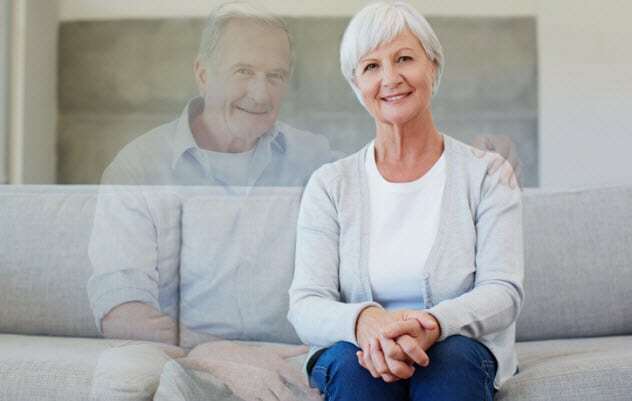 According to a survey, nearly 50 percent of widowed elderly Americans have had a hallucination of their dead spouse. These widows are usually isolated in an unusual environment when it happens, and they’re living through a period of extreme stress. Incidentally, that is usually the case when other people see ghosts, too. They’re almost always alone in an unusual environment and under extreme stress. Psychologists think that’s the real reason why these people see ghosts. It’s not that dead husbands keep dropping by to see their wives. It’s just that extreme stress and loneliness can trigger hallucinations. The reason why so many people think they’ve been abducted by aliens in the night might be a lot simpler than you’re imagining. According to one experiment, they just dreamed it. Researchers assembled a group of 20 people who’d mastered lucid dreaming (the ability to control their dreams) and told them to run an experiment while they were asleep. When they’d taken control of their dreams, they were to separate themselves from their bodies and go looking for UFOs. 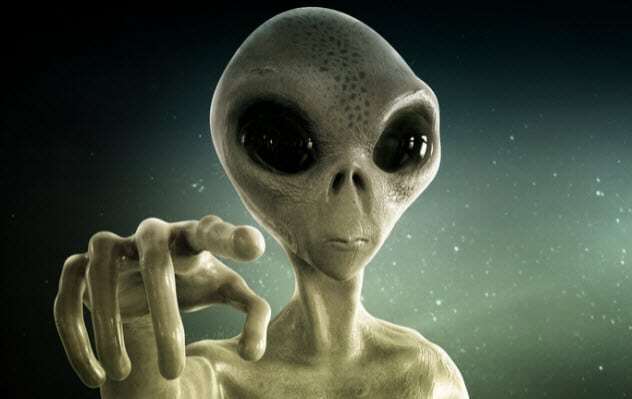 Of these people, 35 percent saw aliens come to their beds and try to abduct them. All they had to do was think about aliens, and their brains would play out an alien abduction story—and it was enough to freak them out. It’s believed that this is probably all that’s happening to people who believe they’ve been abducted—they’re dreaming. 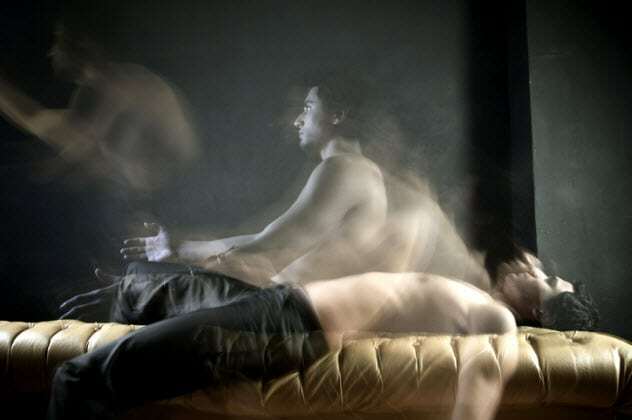 In many cases, abductions are likely just people struggling with sleep paralysis, a condition that makes you hallucinate that intruders are coming to your bed. A few hundred years ago, people with sleep paralysis would report seeing Catholic demons attacking them in the night. Today, demons are out of fashion. So people see extraterrestrials instead. A scientist named Vic Tandy had a weird experience while working in a factory that was said to be haunted. He was overcome by a sudden chill and sense of gloom. Then, out of the corner of his eye, he spotted a gray figure watching him. The whole experience was so freaky that it took him a while to work up the courage to look. When he did, the apparition had disappeared. Most people would have run for their lives. But Tandy is a scientist, so he tested a theory. He was fairly sure that his weird experience was caused by infrasounds—sounds with a frequency lower than the human ear can hear. He shut off a fan that he believed to be making the noise. Sure enough, once the fan was off, every weird paranormal experience in the factory stopped. A few years later, some researchers followed up on Tandy’s theory by having people roam through winding passageways, some of them while an infrasound was ringing and some without the noise. The people who heard the infrasound felt the temperature change and, in some cases, saw weird apparitions appear. But those who didn’t experience the noise didn’t see anything. That’s at least part of the reason. The most likely reason that Tandy saw a ghost is just that people told him the factory was haunted. Of every cause that’s ever been linked with a weird, paranormal experience, the most common explanation is just that people were expecting to be freaked out. For more frightening stories about demons and ghosts, check out 10 Truly Creepy Demonic Hauntings and 10 Terrifying Places Haunted By The Ghosts Of Brutal Violence.